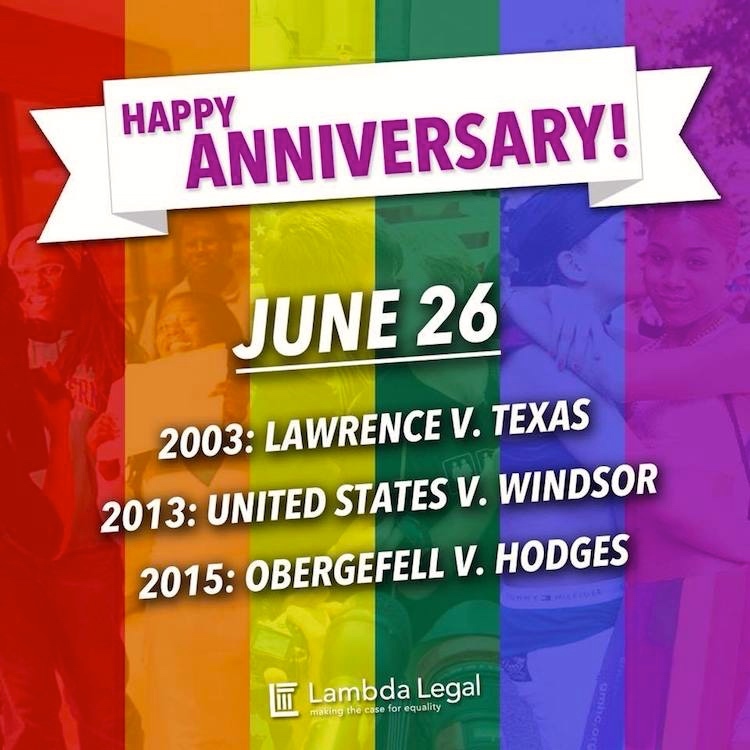 Two items for this week: an unofficial day of judicial celebration in the U.S., rainbow architecture as part of Barcelona Pride. 🌈 At Casa Batlló we believe in love, freedom and diversity. For this reason we participate in the Pride Barcelona parade this Saturday [June 30th] with a spectacular float where you can enjoy the incredible show of Music Has No Limits. Also tomorrow, Thursday [June 28th] from 9:00 p.m our facade will be illuminated with the rainbow flag. Casa Batlló is a building in the center of Barcelona. It was designed by Antoni Gaudí, and is considered one of his masterpieces. A remodel of a previously built house, it was redesigned in 1904 by Gaudí and has been refurbished several times after that. Gaudí’s assistants Domènec Sugrañes i Gras, Josep Canaleta and Joan Rubió also contributed to the renovation project. The local name for the building is Casa dels ossos (House of Bones), as it has a visceral, skeletal organic quality. 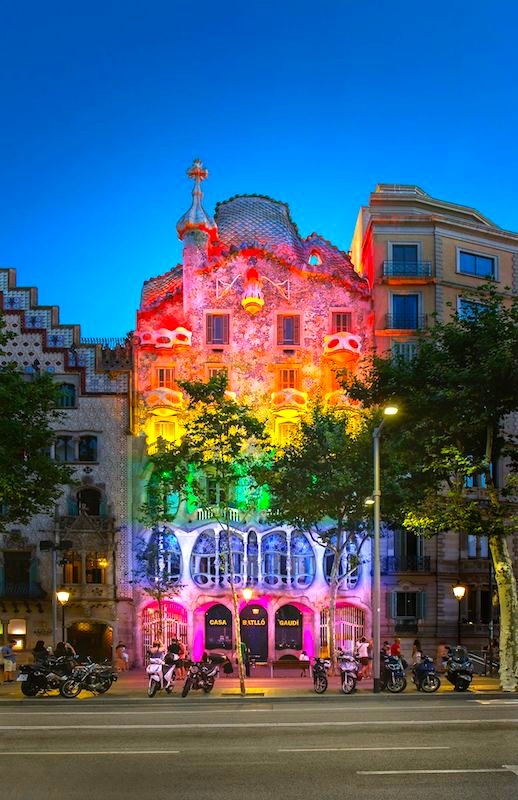 Note that the Casa Batlló has chosen — as others have on other lgbt occasions — to use a decidedly pink hue in the place of the purple / violet stripe at the bottom of the flag. Think pink! This entry was posted on June 27, 2018 at 10:12 pm and is filed under Architecture, Art, Holidays, Homosexuality. You can follow any responses to this entry through the RSS 2.0 feed. You can leave a response, or trackback from your own site.